Lacy finds herself in too deep; Daniel takes drastic steps to regain his company; Clarice takes action while Amanda considers her options. At 1:33 on the DVD, an Intersun Luxury Liner is seen flying over Caprica Spaceport. This is similar (or even the same) as the luxury liner model which becomes Colonial One, the home and offices of President Laura Roslin in BSG2000. In BSG2000 episodes, the CGI exterior shots of Colonial One have Intersun painted on the hull, just as this one does, but interior crew uniform patches read "Eversun" instead. It's not clear which is the real company name of the luxury line service; personally, I prefer Intersun, as it suggests a line that travels among the several suns and orbiting worlds of the Twelve Colonies (as in "interstate" and "international"), but some fans prefer Eversun, as that name is seen more frequently on crew uniforms throughout the BSG2000 episodes. A couple of ships that look similar to the Olympic Carrier from the BSG2000 episode "33" are also seen docked at the port. 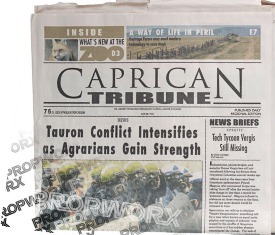 Barnabas' cell stages a bombing of the Caprica Inter-Colonial Spaceport (the sign is seen at 3:21 on the DVD). Agent Duram also refers to it as Trojan Spaceport. Below the spaceport sign are the letters CCX. This is presumably the spaceport code, similar to the airport codes on our own modern day Earth. According to the Battlestar Wiki, scenes at the spaceport were filmed at Simon Fraser University in Surrey, British Columbia, Canada, with some exterior architecture from the Incheon International Airport in South Korea. The bridge seen at 10:12 on the DVD is the bridge at which Amanda attempted to jump to her death, Pantheon Bridge, in "End of Line". At 12:01 on the DVD, the employee file of one Lillian Teller is seen. Apparently, she is a director at Graystone Industries. She lives at 435 E. Elm Street, Caprica City, phone number N97 T64 89. 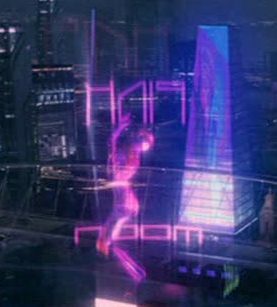 She previously worked for Hawryliw Robotics Inc. (a nod to the show's property master, Ken Hawryliw). At 14:32 on the DVD, Amanda dreams of Zoe's eyes turning red and the familiar Cylon hum is heard. Does she subconsciously suspect that the Zoe avatar was part of the U-87 robot? Or is it a prescient dream of the coming Cylons? 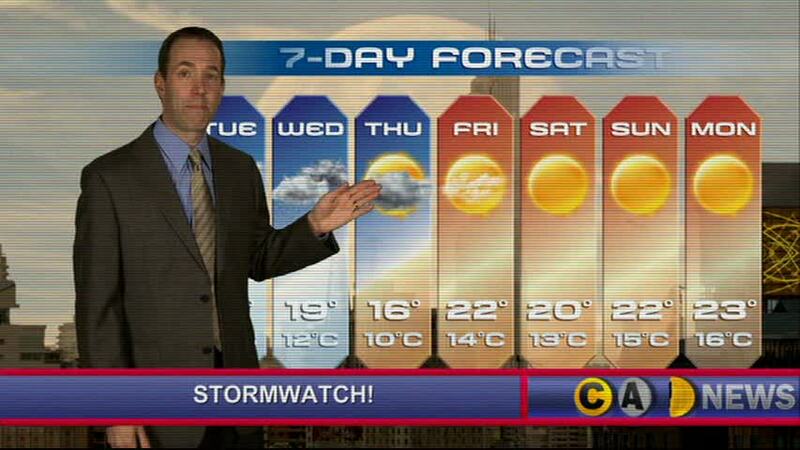 At 17:30 on the DVD, the weather forecast shows what seem to be the same days of the week we use here on Earth. At 17:35 on the DVD, notice that the Picon engagement necklace being sold on CSN has a pendant featuring the engraving of two fish, the Zodiacal symbol associated with the constellation Pisces. The parking garage at 23:07 on the DVD is an actual parking structure off Broughton Street in Vancouver, Canada where the series was shot. At 23:55 on the DVD, in the flashback scene of Daniel visiting Amanda in the hospital, notice that she is sucking on an unlit cigarette. I suppose they wouldn't let her light up in a hospital! At 26:30 on the DVD, as Duram and Clarice talk in the rain, notice that a billboard for Backtalk with Baxter Sarno is seen in the background. As Duram talks to Amanda at 30:56 on the DVD, notice that two people standing in the background are wearing holobands. Notice that Duram has trouble with his umbrella throughout the episode, yet he struggles through the rain anyway. It is symbolic of his non-stop effort to expose and take down the people behind the STO. An old-timey looking television is seen in Clarice's cabin at 35:32 on the DVD. 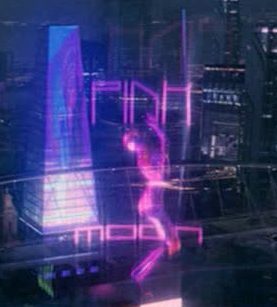 At 36:54 on the DVD, a holo-ad for what appears to be a strip joint is seen, Pink Moon. A Club Pink Moon is also seen on Picon in The Plan. Did Barnabas survive the bomb? We'll never know for sure because the series was cancelled by Syfy before the first season had even completed its run. Allegedly, the producers have said they would have brought him back if the series had continued.